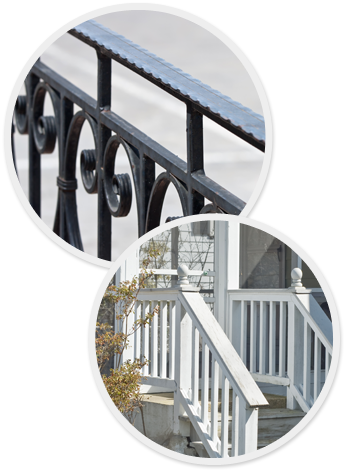 At Hercules Fence in Gainesville, Georgia, you will find deck railing and porch railing offered alongside high-quality fences and gates. We have a crew of reliable workers who can easily and quickly install these upon request. Vinyl - Of the three varieties we have, this is one of the most popular. A perfect alternative to wood railings, vinyl railings need little maintenance. It comes in different styles and designs and must be custom-installed for each project. Aluminum - Attractive, corrosion-resistant, and maintenance-free, this type can complement any architectural or landscape design. Being lightweight and durable, it can easily be installed and provides adequate protection. Steel - Of the three varieties, this type is commonly used for commercial purposes. Durable and low maintenance, it fits any application and helps protect users from accidents. Like vinyl, it has to be custom-installed by our reliable crew. Wood - This type is popularly used to add aesthetic appeal to decks and porches. Aside from adding a stylish appearance to outdoor spaces, wood railings provide safety for family and visitors alike.